A strong modding scene can be the difference between a fun, niche title that you might never hear of and a game that thrives due to the gaming industry’s fascination with it. In my personal experience, I discovered the Mount and Blade franchise because of a Star Wars mod, but modding is nothing new. It goes as far back as Doom, in which campaign after campaign were made by fans by creating new .wad files, and today, we have developers like Bethesda (a development team that’s been encouraging modders since at least 2002) now laying the groundwork for modding on consoles! Internally, we’re fascinated with this level of community interaction. We even have team members with experience in modding! But who knows? Game development attracts a specific type of person, and maybe the larger gaming community doesn’t care about modding. Or maybe, modding is just some serious fun. 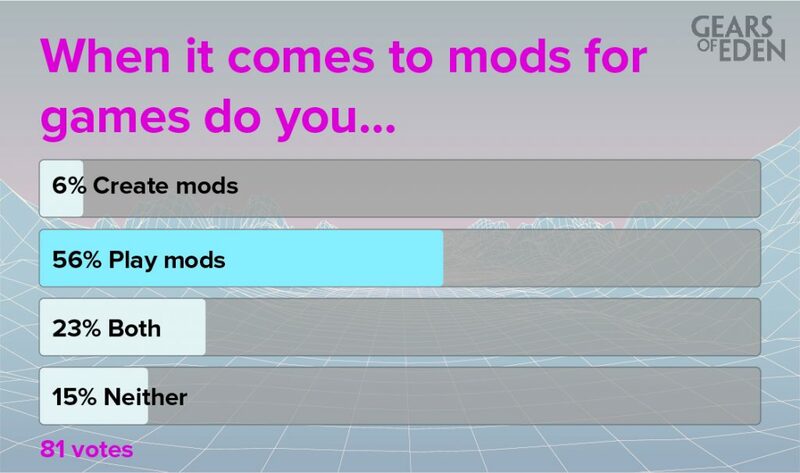 Only a small number of you said that you’re a part of the mod development scene, but the vast majority of voters in last week’s poll are into modding. Why wouldn’t you, right? Skyrim is a whole lot of fun, but I want to be able to take a lightsaber into a Super Mario themed level so that I can kill Bowser with my dragon shout! Minecraft is fun too, but who doesn’t want to fill their personal, unique world with pokemon to catch? Or what if you’ve got a beefy computer and really just want to push its limits with some great graphics mods? I’m gushing a little bit, but it’s also important that we acknowledge the fans who said they weren’t really into mods. Honestly, that’s totally okay. Mods can make things funky, and if a game is good enough to have a modding community, it’s usually good enough to love on it’s own. The cool thing about modding and the PC Gaming scene is that it lets us play games in whatever way we want. You’re playing a #PC #RPG. Which do you prefer? #gaming #pcgaming #gamersunite #GoE #poll #gamedev #indiedev #indiegame RT! Now, what does this interest mean for Gears of Eden? Well, to be perfectly frank, we would love if you were able to mod our game! It’s a whole lot of fun and, not to mention, a pretty sly way of getting our community to show us what they want from future titles. The issue is creating a modular system like that can get tricky, and it’s important first and foremost to us that the game itself is good and worth your time. So here’s our deal for you all: first and foremost, we want to make sure the game is as great as we can make it. Then, if it’s feasible for us, given our budget and team size to accomplish, we’ll do our best to make this game a mod-friendly environment. That’s a long way off though, so until then, we’ve got another poll for you! 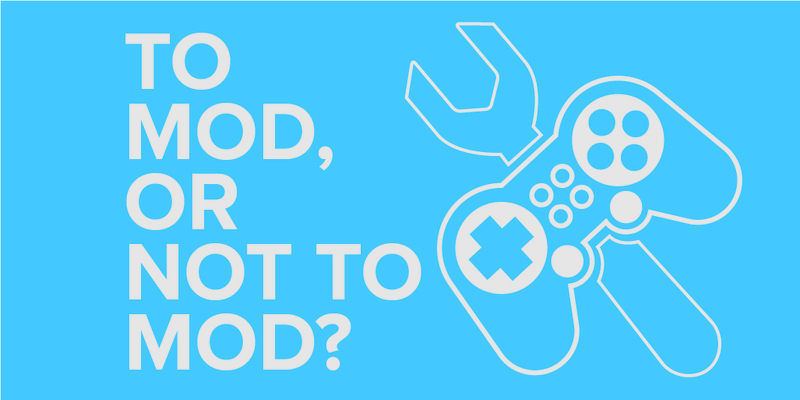 This week, we’re asking about where you stand on the “keyboard+mouse vs controller” debate. Be sure to vote, and be sure to stop by here next Monday to see where we stand. The best way to see that article the very moment it’s available is to follow us on Twitter or Facebook, where we also post other content like our weekly Dev Update! That’s all for this week, but I hope to see you again soon. Thank you!